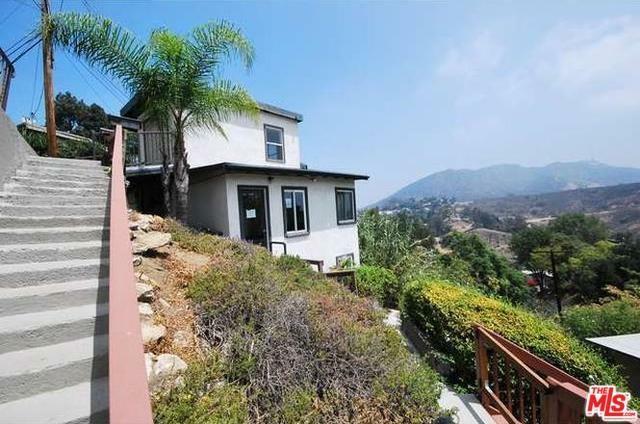 Nestled in the Hollywood Hills with spectacular views of the valley and Hills. Step into a beautiful bright home with loads of windows and open space. The home is set on 2 levels the large kitchen which opens to living room and dining room on the top floor along with a bright bedroom and bath. The lower level is the entire master suite with en suite bath and large closet space. The master bedroom has its own entrance from the exterior, shares the same great views, and opens through sliding doors to a private outdoor deck/patio area. The home features hardwood floors on the upper level and gorgeous tile floors on the lower level. An extra storage area, plus a finished one car garage. The serene private setting is just gorgeous. Sold by Will Tiao of Tiao Properties, Inc..